Product teams love to build products. But all-too-often, we get caught up in the execution of a CEO’s pet project instead of questioning which ideas will matter to our users and business. And while most companies neglect the purpose of exploring and validating ideas before starting to code, successful ones know that they have to master a second track beyond product delivery: A repeatable and action-oriented Product Discovery process. In this training, I will help you to structure your own Product Discovery efforts in a way that you don’t waste resources building stuff nobody wants without sacrificing time to market. Instead of just hearing about theoretical principles of product development, you will learn about my proven Product Discovery framework by working through a challenging and real-world case study yourself. Why it’s crucial to use the right alignment format to frame your Product Discovery for maximal autonomy. How to execute lean research using quantitative and qualitative frameworks which truly help you to understand user needs and discover opportunities worth pursuing. With which frameworks you can democratize the ideation process for new solutions, so your stakeholders feel involved without just unloading feature requests at your desk. How to improve your cadence for user feedback loops through rapid prototyping and iterative usability testing. Why you need to run qualitative and quantitative experiments in parallel to validate your hypotheses and which tools you can use in your company right away. 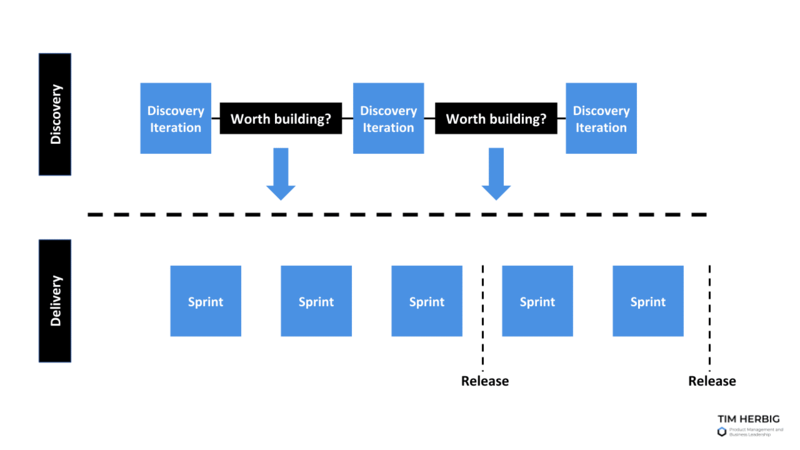 How to integrate Design Sprints into your Product Discovery. 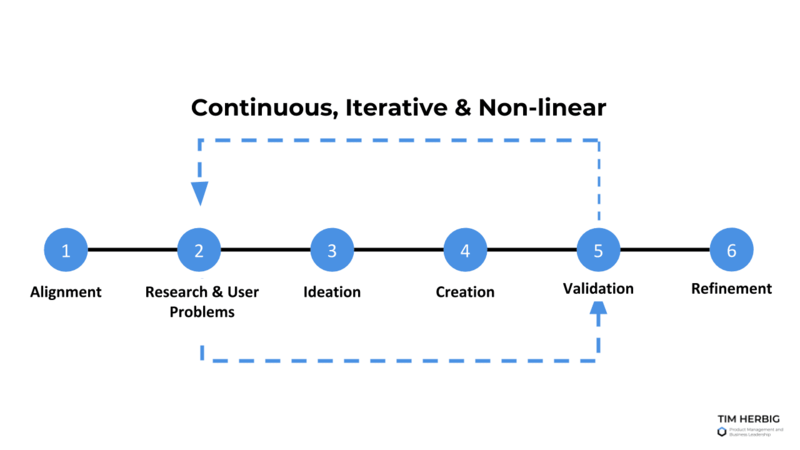 Why Product Discovery doesn’t stop after the validation step and how to implement a culture of continuous Product Discovery. How to transition validated ideas into Product Delivery by applying User Story Mapping and theme-based roadmaps. Defining Product Discovery OKR and crafting a Mission briefing to align your team and stakeholders. Interviewing users to get the insights to get to the bottom of their needs. Ideating solutions in a cross-functional and collaborative team setup. Prototyping solutions even without a UX designer and validating them. Setting up multi-track experiments to run sequential experiments without the need to code. Slicing an idea for Product Delivery and crafting a theme-based roadmap for Agile planning. Engineers, Designers and Marketeers which want to participate in iterative Product Discovery Processes instead of standing on the sideline. Directors/Heads of/Team Leads Product who want to enable their teams to discovery product opportunities which truly matter. Note: As soon as there's one participant enrolled who is not speaking German, the entire workshop will be held in English. All the slides and materials are in English anyway. The public format for the Lean Product Discovery Training is running throughout two full days. A custom one day version of the format is available upon request for internal training purposes. Is the training also available as a custom inhouse format? Yes, I'm happy to discuss your requirements to shape a customized Product Discovery training format for your company. Just get in touch. Do I get access to the taught materials after the workshop? Yes, you'll get access to all the shown slides, as well as .pdf versions of the used frameworks and an extensive list of additional helpful resources. Is there an online version of the training available? Yes, my upcoming Product Discovery Online Masterclass makes learning effective Product Discovery habits and planning and executing your individual process available as an online course.